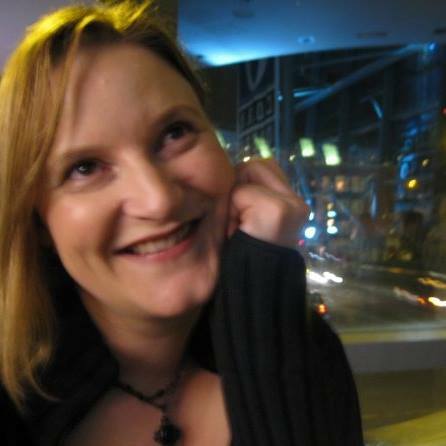 Patricia Groves, also known as Trish, is a creative digital media producer and author, based in County Kildare. She holds an MA (Hons) in Scriptwriting from the Institute of Art, Design & Technology in Dun Laoghaire, and a Diploma in Online Marketing and Digital Strategy from Griffith College Dublin. She is a professional member of the Irish Writers’ Centre and a full member of the Writers’ Guild of Ireland (formerly known as the Irish Playwrights’ and Screenwriters’ Guild). October 2015 saw the publication of ‘Four Lives – Legend of the Warrior’s Curse‘, the story of a Celtic warrior trapped in an endless cycle of death and rebirth, destined to relive his mistakes because he never lives long enough to discover the truth and finally find peace. ‘Four Lives’ was released as a Kindle Short Reads e-book, and is available exclusively on Amazon. Her traditionally-published historical biography, ‘Petticoat Rebellion – The Anna Parnell Story‘, was released in 2009 by The Mercier Press. ‘Petticoat Rebellion’ was featured as Irish Times Book of the Day, and was selected from over 300 submissions for ‘Great Irish Book Week‘ that same year. She has been a judge in the annual Poetry Ireland and Trocaire global justice poetry competition since 2013. Her quirky, short film ‘Rapunzel – The Blonde Years‘, produced under the Irish Film Board’s ‘Virtual Cinema’ scheme, has had over 700,000 hits on YouTube, and has been used as an education resource in schools across Ireland for discussing gender and development. Her filmmaking has been supported by the Irish Film Board and the Arts Council of Ireland.